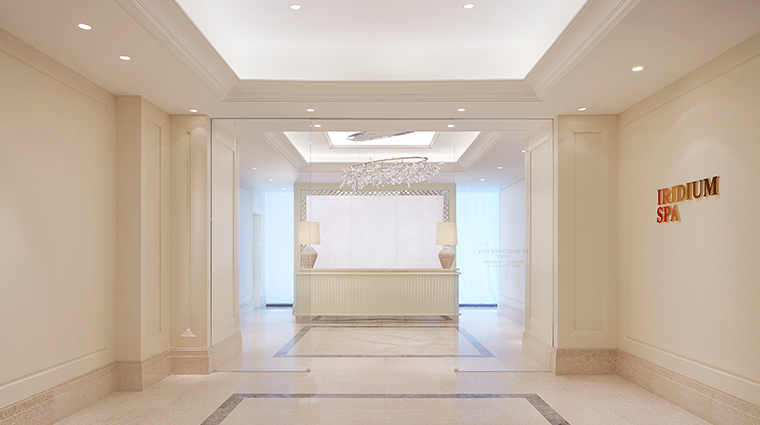 Ambient earthy tones, fresh orchids and luxurious spa and beauty treatments make Iridium Spa at The St. Regis Kuala Lumpur a soothing retreat in Malaysia’s hot and hectic capital. Spanning 11,840 square feet on the sixth floor of the hotel, Iridium Spa offers ESPA body services while you enjoy verdant views of the Lake Gardens. 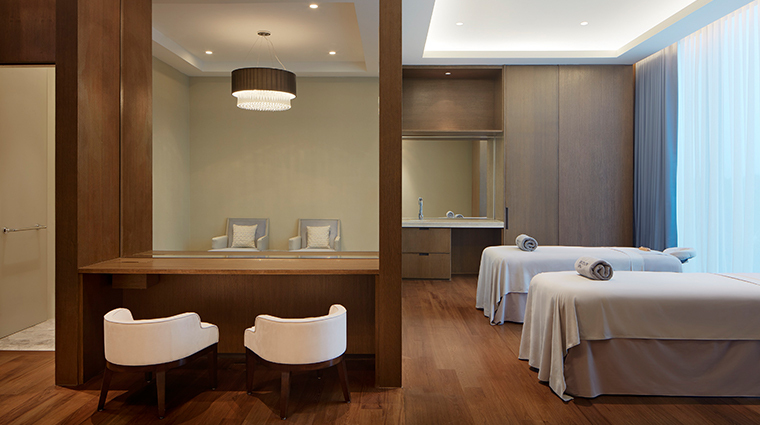 It is also the first Kuala Lumpur hotel spa to provide Endermologie skincare and body-contouring treatments. For those seeking an extended spa sojourn, a selection of three-, five- and seven-day residential retreats combine massages, detoxifying regimens, wraps, facials, yoga and healthy cuisines fortified by raw superfoods. If more active pursuits light your candle, take a dip in a rooftop pool overlooking the tropical Lake Gardens framed by the Kuala Lumpur skyline. Alternatively, grab a workout while being inspired by live sports showing on TV screens inset into some of the equipment. Personalized indulgence is enjoyed from the start. Each session begins with a skin consultation to ascertain the most beneficial blend of essential oils and application techniques. Combining Asian wellness philosophies, Iridium incorporates some Malaysian traditions into its services. The Rice Pandan Scrub, for example, uses Southeast Asian pandan leaves and coconut oil to purify and re-mineralize the skin. The lounge area is the place to unwind before or after your treatment with comfortable chairs, teas and juices and mesmerizing city views through large picture windows. For an anytime workout, the 1,345-square-foot Athletic Club is open 24 hours with the latest Life Fitness cardio and stength-conditioning equipment. The infinity-edged pool on the rooftop deck is a serene spot to sample a burning pink Malaysian sunrise or sunset with Kuala Lumpur’s iconic twin towers as a backdrop. Iridium Spa, the outdoor rooftop pool, the yoga studio and the fitness center are all located on the sixth floor terrace, along with the Crystal bar. The Kuala Lumpur spa has become a local hot spot and demand is strong, particularly during weekends and public holidays, so be sure to book your treatment well in advance. The St. Regis spa is open until midnight each day, offering the solace of a late-night therapy to natually realign your body clock and sleeping pattern. 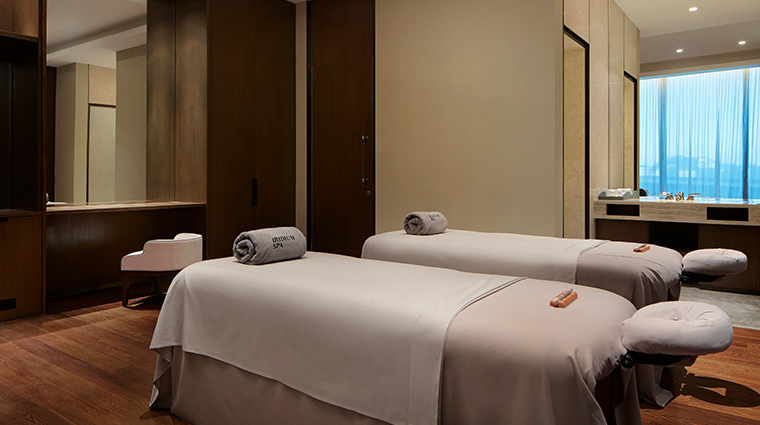 If you can’t find time to sample the services of the spa, Remède bath amenities are offered in all of The St. Regis Kuala Lumpur’s rooms and suites. For extended pampering, three signature rituals (ranging from two to three and a half hours) integrate massages, body exfoliation and facials, as well as private time in the Jacuzzi and sauna. After a long flight, the Jet-Lag Reviver is a rejuvenating pick-me-up, including a peppermint and rosemary oil massage to help reset the body and mind to Malaysian time. Authentic Asian indulgence is assured with the Heritage Tea Aficionado ritual, featuring a rice and matcha green tea exfoliation, a red chai tea bath and a relaxing body massage. A 60-minute one-on-one yoga class with a certified instructor can be tailored to your karmic state to create a personalized Zen uplift. The understated spa décor blends a calming palette of cream and caramel offset by chocolate veined marble and polished hardwoods. Take your pick from eight single and four couples spa suites. For extra meditative intimacy, opt for the treatment room for two with a private Jacuzzi, sauna and shower room. 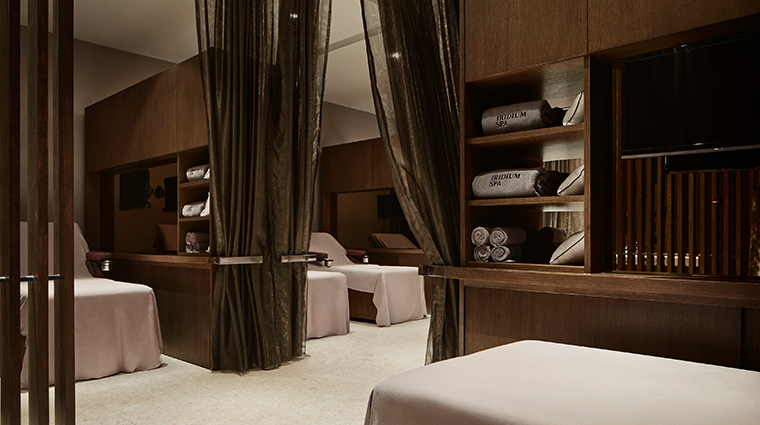 Eight individual pods for manicures and pedicures feature reclining beds, personal TVs and curtain-drawn privacy. After your treatment, unfurl in one of the sundeck cabanas set around the inifinity-edged pool and enjoy cocktails and Asian tapas served from the rooftop Crystal bar.